When a payment is made that requires your authorization, the Funds To Phones platform will generate an e-mail to your e-mail Address. 2. 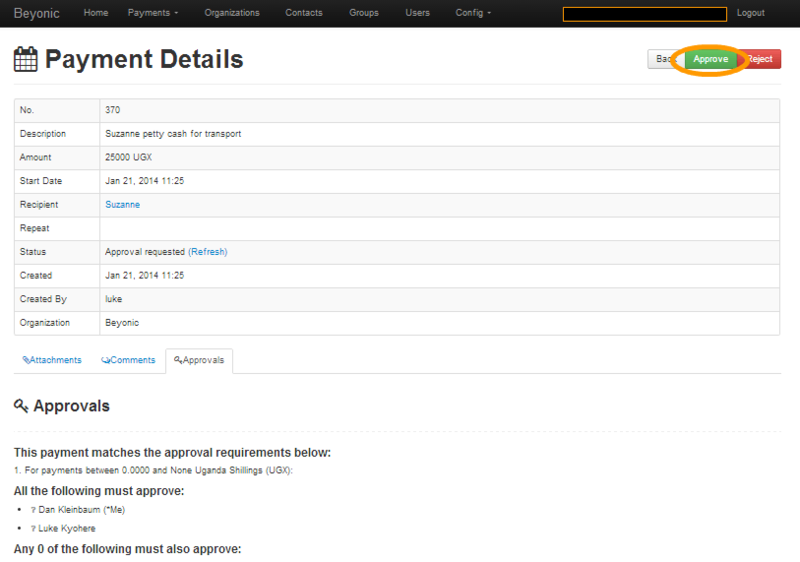 Once you open the e-mail, you will see the payment request and links at the bottom of the e-mail will take you to the specific transfer or the approval screen. 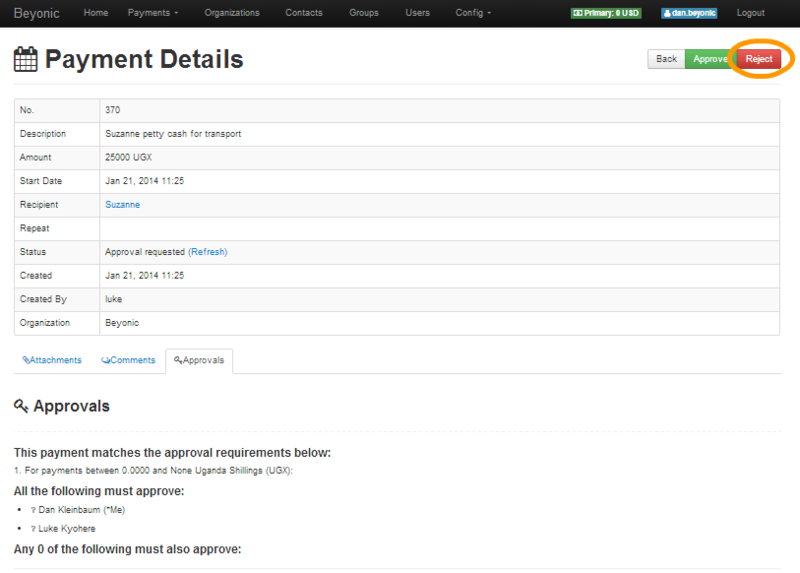 Once the payment has been approved, the status will change to “Scheduled”. 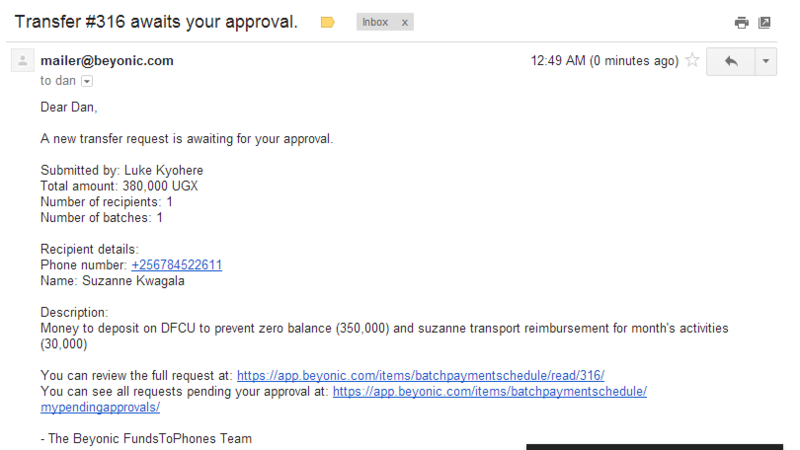 If the payment was to be made immediately, it should take no more than 3-5 minutes to process. Most payments are processed in less than a minute.